Take advantage of our many years of experience to maximize your efficiency and profits with a material handling equipment system specially designed for your business and enhancement of your existing handling and storage facilities for optimum utilization of available resources. We will work with you to analyze your product flow and storage needs and develop a system that best suits your individual business. We provide total Solution from concept to installation. 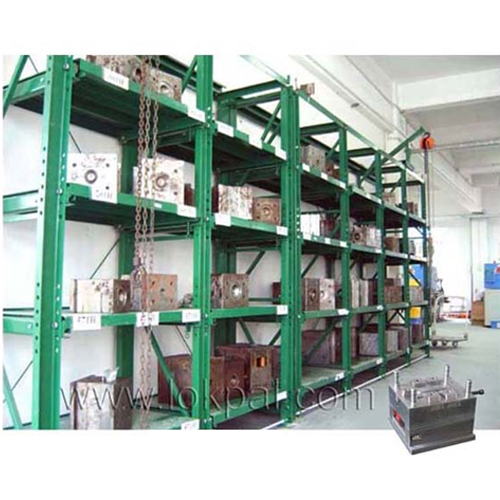 Die and Mould racks are very convenient to use die / mould storage devices with a built in lifting and lowering chain hoist. The drawers are sturdy and can be pulled out and pushed back with the load. In order to remove a die or mould from the rack simply put out the drawer on which the mould is placed. Pull the monorail trolley and the chain hoist above the mould. Attach the hook of the hoist to the mould. Lift the mould with the chain hoist about 2 inches above the drawer. Push back the drawer into the rack and lower the mould to the ground or to a pallet lying in front of the rack. The mould can now be moved to the machine with a pallet truck. Simple isn't it. For loading the mould/die simply follow the reverse procedure. 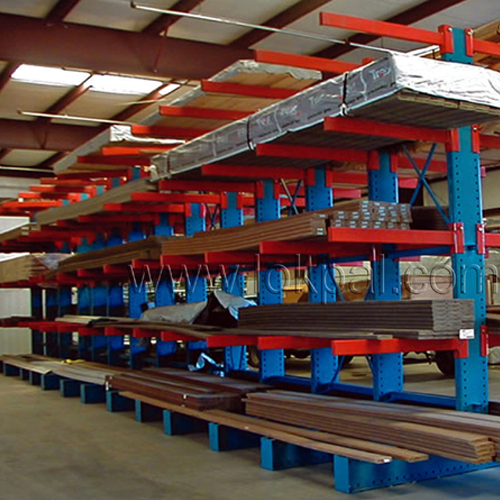 Stacking racks stack 4-5 high and can be easily disassembled or knocked down when not in use. Rather than dedicate substantial amounts of floor space to permanent rack systems, use portable stack racks to obtain maximum storage density and efficiency. If your business has seasonal peaks and valleys, stacking racks can be easily disassembled and stored within a very small "footprint", thereby recapturing valuable floor space for other activities. 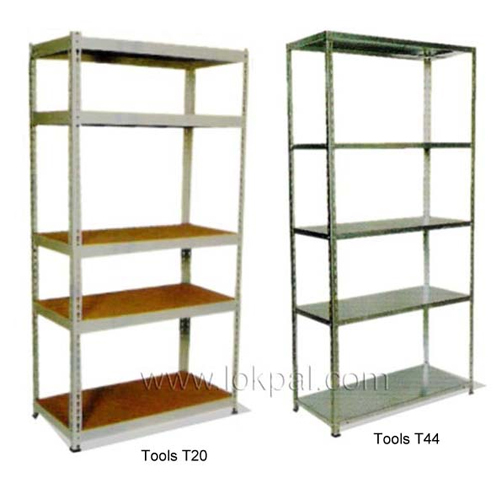 Portable stack racks can be used as shipping racks. Advantages include saving on expensive cardboard boxes that can now be eliminated, increasing density in transit (freight savings) and collapsibility. 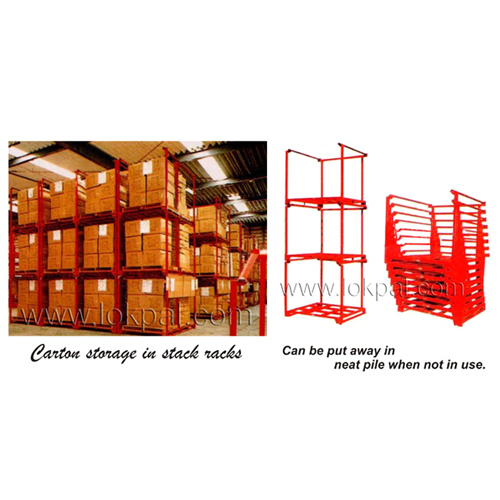 Stack racks help you greatly reduce costly dunnage. Shipping containers are typically able to be knocked down and returned to the point of origin for reuse. 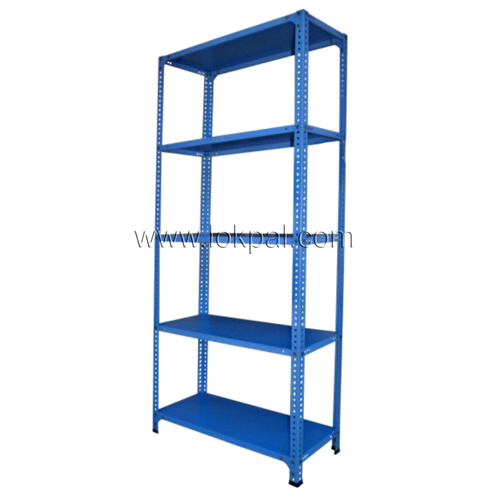 Used for long-term or as temporary storage next to machining work stations. Perfect for last-in, first out inventories. Just stack them against the wall as deep as you please. Lockers And Wall Cabinet is intended for industrial use. Epoxy Powder Coated, Elegant sturdy Lockers made of Cold rolled steel. Every lock and key is provided with a unique serial number. Every lock and key is engraved with a unique serial number, to avoid any mix-up. No two keys and locks have the same number. Keys 6 Nos. +1 Master key 24 Nos. +1 Master key 33 Nos. +1 Master key 9 Nos. 12 Nos. 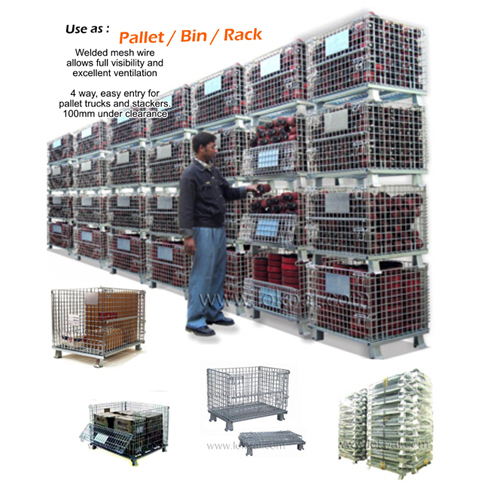 Foldable Wire Container is useful for lifting material from racks. 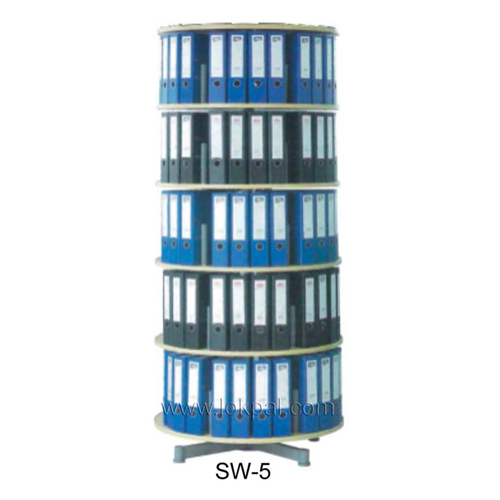 Rotary File Rack is useful for lifting material from racks.